There are a lot of things that you need in your bug out bag that go without saying. Food, water, and shelter are no-brainers when you’re getting survival gear together. What about those things that you don’t normally think about? This list should help get you thinking about the commonly overlooked bug out bag items you probably should have with you in an emergency. This is really a must-have for any type of survival kit. A good old-fashioned Leatherman could be worth its weight in gold in a survival situation. Multi-tools will give you access to a knife, pliers, screwdrivers, etc. I recommend either a Gerber or Leatherman multitool. 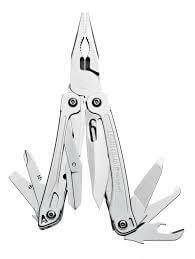 The Leatherman Wingman is a great option. I like the route that they’ve taken in their newer designs. The Gerber MP600 is a good option if you prefer Gerber multitools. I’m not a fan of the looser design of their tools but many people love the external locks. A small sewing kit is good for repairing rips and tears in clothing or equipment. Having a means to repair clothing is a great way to stretch the minimal amount of clothing you may have access to after bugging out. I prefer to use steri-strips for wound closure and I don’t recommend just going to town sewing a wound closed unless you know what you’re doing. Adding a small fishing kit and a collapsible fishing pole to your bag is a great idea if you’re near natural bodies of water. Fishing like this has the added benefit of not using a lot of energy which makes it a very efficient way to hunt for calories while expending very few calories in return. Having snares, traps or wire that you can use to build them can give you another way to collect food. Something as simple as a few rat traps may be able to get you a meal when you really need it. Waterproof bags are great. Some are so good that you can completely submerge them in water and still keep everything dry inside. Remember, anything that keeps water out can also keep water in. 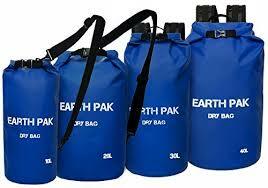 An empty dry bag makes an awesome way to collect water and should be a strong contender for a spot on your bug out bag list. Staying up to date on whatever event forced you out of your home is extremely important. Most emergency radios allow you to listen to NOAA and AM/FM channels. Make sure you plan to have a means to recharge your radio or carry extra batteries. 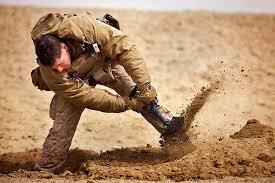 Entrenching tools are pretty heavy, but they’re also a lifesaver if you need to do some digging. 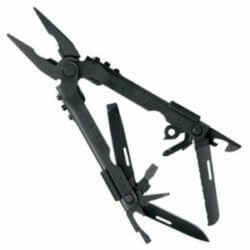 Nothing else that you can put in your bug out bag can really replace an e-tool. They’re also a very effective last-minute melee weapon. This could be a lifesaver for anyone bugging out from the city. Being able to gain access to a secured area could mean the difference between finding food and going hungry. If you carry a full tang axe or tomahawk it will be almost as good as a pry bar. If you’re interested in a great full tang tomahawk you should check out our review of the Smith & Wesson Extraction and Evasion Tomahawk. Along the same lines as the pry bar. There are plenty of YouTube videos out there demonstrating how to pick locks. Bosnianbill is my favorite YouTuber for lock picking lessons. 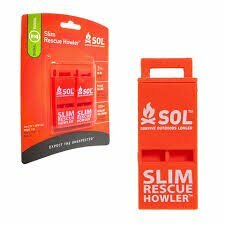 If they’re legal in your area, they weigh very little and make a great addition to any bug out bag. Be sure to practice ahead of time. Lockpicking techniques are easy enough but you’ll only ever get the feel for it if you practice on a wide range of locks. Focus on the types of locks that are most common in your area first. They’re often sold under the name of lock maintenance kits if you’re trying to find them online. Adding a signal mirror to your bug out bag list makes a lot of sense. They’re really light and are one of the best ways to signal to another person or vehicle during the daytime. Signal mirrors are also effective as a way to inspect facial injuries and could even be used to peek around a corner if you didn’t want to expose your head. The survival whistle is another great tool to have around. 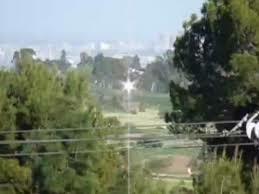 Sound is a great way to signal your position in order to help people find you at night or in dense vegetation. You can keep a whistle hanging on one of the straps of your pack so it’s always available. Who doesn’t love this multi-use wonder? You can carefully unroll the duct tape and then re-roll it back onto itself to get it down to a manageable size. 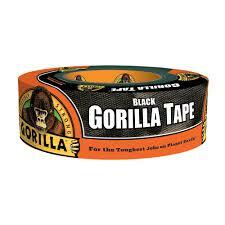 If you’re going to pack something like Gorilla Tape, you have to understand that having something that strong sometimes has drawbacks. If you’re going to want to remove the tape afterward, a super strong adhesive isn’t always the best bet. This list was focused on overlooked bug out bag items but everything on this list could easily find its way into any survival kit. Make sure you think about the scenarios that you’re most likely to encounter before you consider your survival kit or bug out bag complete.